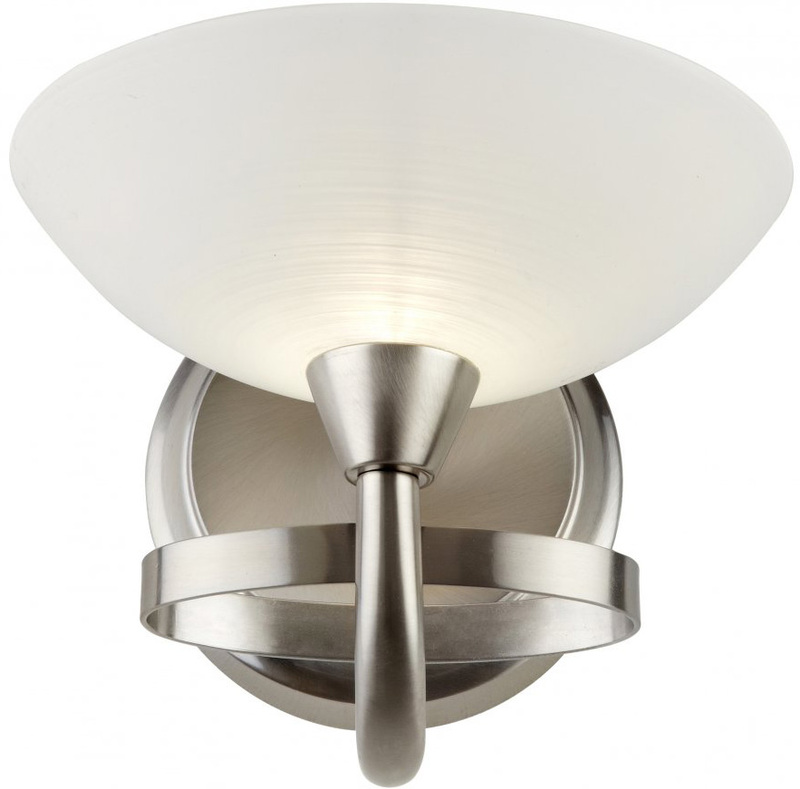 This Cagney modern satin silver finish single wall light is stylish bright and functional. Featuring a circular wall mount and lower mounted curved arm, with oval hoop and upward facing white line painted glass dish shade. A lovely wall light that looks fantastic on any hallway, dining room, bedroom or living room wall.